It is time to put the interests of patients first, ahead of political expedience. 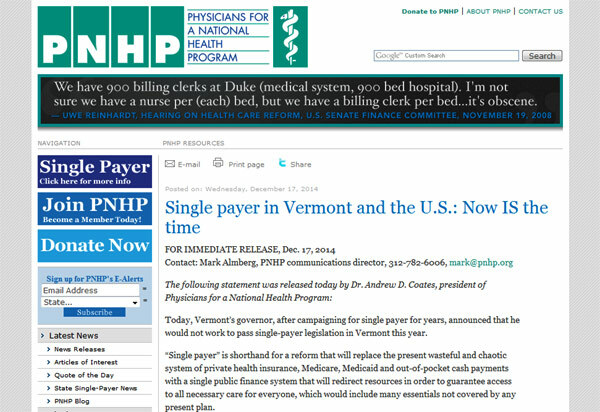 Now IS the time for single payer in Vermont and in the nation. It is the only reform that will cover everyone, save lives, and save money. Mr. Shumlin, of all our nations’ governors, knows this well.